After a presentation by Costco officials on Thursday morning, the New Orleans City Council enthusiastically and unexpectedly took a vote to approve the Carrollton Avenue project and grant the wholesale retailer’s design requests. “I knew we were doing OK when at one of the neighborhood meetings somebody stood up and said, ‘Enough outreach already. 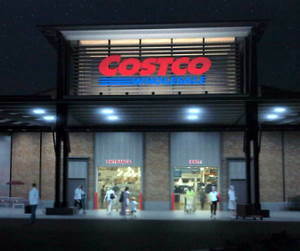 Let’s build it,'” Costco vice president Jackie Frank said during his presentation to the city council. The Costco project was slated for a presentation led by company vice president Jackie Frank on Thursday morning, but before it began, Mayor Mitch Landrieu appeared before the City Council. After spending several minutes describing progress in the city, Landrieu said that Costco’s treatment will be critical to New Orleans’ image for other businesses, and urged the council to give the project immediate support. The Costco presentation then followed similar lines to the community meetings it has held since last fall, describing the company’s size, its business philosophy, its employment practices and its charitable endeavors. Officials then described the few design issues on which it differs with the City Planning Commission — most notably, its request for a 670-space parking lot rather than the 499 spaces city planners recommend. City Councilwoman Susan Guidry, whose district includes the Costco site where South Carrollton meets Interstate 10, said the project will enable New Orleanians to spend less money in other parishes, and instead start drawing suburban shoppers back into the city. Moreover, the site is the last large commercial parcel that needed redevelopment to heal the Carrollton corridor, Guidry said. Guidry then asked to suspend the City Council rules and add a vote on the Costco project to the morning’s agenda. After each council member voiced support for the project — several suggesting to company officials that New Orleans East could use a store as well — they voted unanimously to approve the project with the design changes Costco requested. “Thank you for coming to New Orleans, believing in our city and investing in us,” said Councilwoman Stacy Head, saying the project will “show the world” the pent-up demand for more retail in New Orleans. Finally. Now, let’s get a Trader Joe’s up in here. No doubt. We need a Trader Joe’s. If Trader Joe’s wanted to be here they would be. There have been over 10 years of constant thousands of requests for TJ to come to New Orleans / Louisiana. In their most recent expansion plans they have instead chosen to hop over Louisiana and open locations in Texas instead. Don’t reward a company who thinks so lowly of us as to open stores 500 miles away even though they’ll have to drive through here to get their products from their East Coast main markets to their new desired customers. Plus (even though I like them too), Trader Joe’s is nothing more than Germany’s lowest end grocery chain Aldi and all of their same generic store brands repackaged into “make you feel special and responsible” wrapping and marketing…no different than the Whole Foods effect except that the products are a bit better quality. You have local, locally owned stores who truly do buy local and more trying to open everyday. Instead of opining the lack of TJ’s, reward the companies who think you are worthy of their business.